Hell everyone and Happy December! 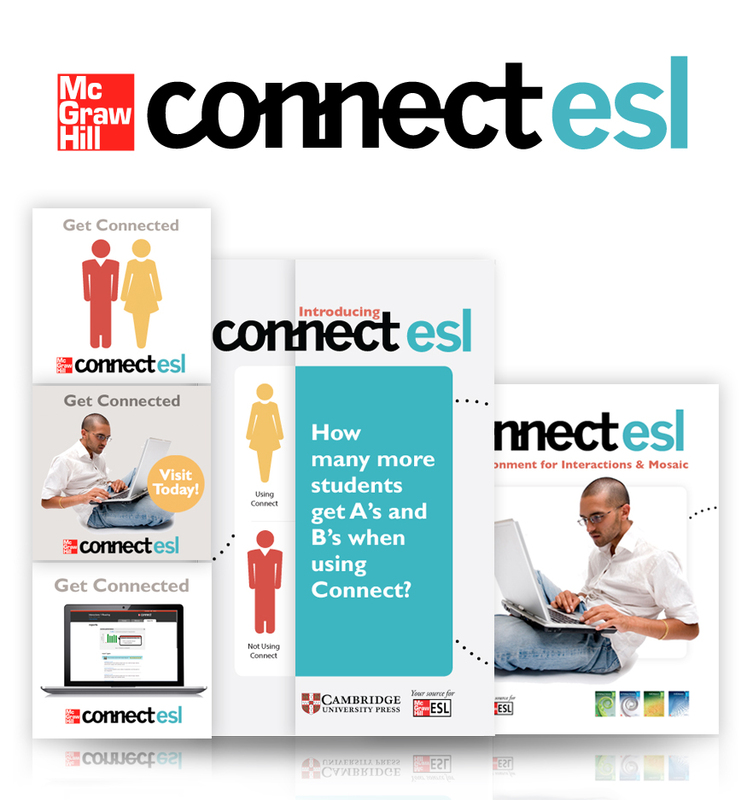 I've added a new portfolio piece on my site: McGraw Hill and Cambridge's Connect ESL! Since being such an established company, I was more so responsible for maintaining the branding from McGraw Hill by producing various print materials for marketing. I was also placed in the position to update the current logo from Connect, to Connect ESL to promote the new partnership between McGraw and Cambridge. More coming soon before the New Year! So please be sure to check in!